One of the questions posed by many SEO enthusiasts is why does Wikipedia always comes on top of a Google search. 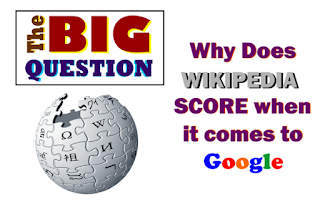 Wikipedia is the one website which is said to help youngsters in their reports, elders in their projects and the savvies to satisfy their cravings. But what makes Google tick? How does a simple content based website soar to a PageRank 8 giant with more than 6 million external links? Why does wiki scores when it comes to Google. Another meaningful question comes up, Can Wikipedia sustain its position among the top corporations who play by the money? Many answers were found in answers.com and yahoo answers along with several forums to start with. Though the answers surely deserve a face-palm but one must know what the people think too. So some not so knowledgeable say that Wikipedia pays money to Google to put it on the top. Let me remind you that in my own 7 year journey, I've never seen a single premium ad for Wikipedia Let us assume for the sake of it, that it is true if you talk about premium ads, but Wikipedia runs on charity. With no other means of getting money (adverts included), the website cannot even think of premium listings. Some have even discussed the possibility of reciprocal links shared between Google and wiki. Which seems thoroughly far-fetched as google itself seems to be against reciprocal links. But can it be true? Of course not! The pages at Wikipedia are always written, moderated and maintained by general public. Some forums suggested big-shots pay Wikipedia to generate articles on their business which is finally paid to get links. This again leads to a fallacy because they just have 400 servers and 95 to 100 people in staff. 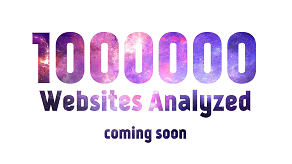 In short the number 5 site serves 454 million different people every month – with billions and billions of page views. Even after all this, the web giant is merely holding its ends together let alone buy links to get on the top. Haven't you seen the donation requests by its founders? People can still donate at the keep wiki free campaign. Among the illogical and flawed reasons explained by the seemingly less knowledgeable webmaster community, people seem to forget the reason which lies right in-front of them, proper and legal search engine optimization techniques. The following are the techniques and methodologies adopted by the Wikimedia community which automatically leads Wikipedia right up to the doorways of great SERPs. This is the one thing that slaps in the face of every two cent critic who says ‘pages at wiki are basically a collection of copied statements from various websites’. It is quite evident from the studies that content on the pages at wiki are never copied, instead just the idea and the logic is represented in a more tasteful and detailed manner. To find more about ways Wikipedia can copy, take a look at the list at SEOmoz. In short the system of User Generated Content can be very well seen in its true form. It is however increasingly evident that its all the other way-round People actually copy the complete text from wiki to impress superiors with their report. There are cases when people try to prevent others from copying from their website (There are methods however to get around it). But never has anybody seen Wikipedia done something so far. It is a very known fact that search bots for different search engines visit websites according to the frequency of updation. In short more a page is updated the more will it be visited by Google search bots to keep the Google directory updated. The system was very well explained in previous articles. The following are the revision history for two separate pages present in Wikipedia. The same methodology of updation is followed by several webmasters to make sure that their blog/website stays up all the time. The philosopy of updation is followed even in the backrooms of codemakit.com. After writing quality content this is next big thing a website must do. When a search engine bot finds out a hyperlink, The bot visits the page its linked to. This is noted in the directory. If the said page again contains a link which has not been yet been included in the directory, required steps are taken. Wikipedia's attempt at helping search engines refresh their directories is often rewarded with higher SERPs. Wiki pages are often regarded as ones that affect the psychology of the users by brainwashing them with huge information and innumerable hyperlinks. This finally leads the users to believe that every thing that exists on a wiki page is ‘Sanatan’ Truth, which is one of the reasons why Wikipedia pages are the ones that are always cited in reports and briefs. This repercussion however gives rise to another good thing, the users in lieu of their belief spend higher time on the page than any other website. The psychological technique however is arguably the side effect of its profound content and moderation systems mixed with an inherent need for betterment and detail by the moderators and contributors. There are several other psychological methods which can help webmasters pull the user’s focus. It is discussed in detail at a previous article on the Psychology of SEO. One of the main reasons for higher SERPs for different terms is because of its keyword and domain authority. Lets not pull facts out of thin air and see some example for domain authority. It is pretty clear that wiki has won the round for domain as well as keyword authority. Not many pages would have such clear cut separations for different terms. According to Majestic SEO, the Wikipedia domain has about 50,713 referring domains and an impressive 6,611,255 external back-links. Two very important link based terms come under purview. These terms are in use by Majestic SEO to determine the authority and importance of the said website. Citation flow which is the number of citations to a particular URL or domain stands at 70 which certainly speak for itself. The trust flow which is the number of clicks from a set of trusted websites. Wiki has one side which is untouched and unseen by many. Let us look at the selfish side of Wikipedia and the people behind it. Here are some of the examples. The above are 3 different cases of tree different Wikipedia pages. As is quite evident from the above, nearly every outgoing link is a NoFollow. “Wiki has been famous for using and throwing links, I was on the top of the world when I saw a link towards my website from Wikipedia The disheartening news came to me afterwards when I found out that it was peppered with a NoFollow link.” says a frustrated anonymous webmaster. The above cases have been observed in many occasions. Here the editing and the references are given in such a way that the link juice does not flow off. 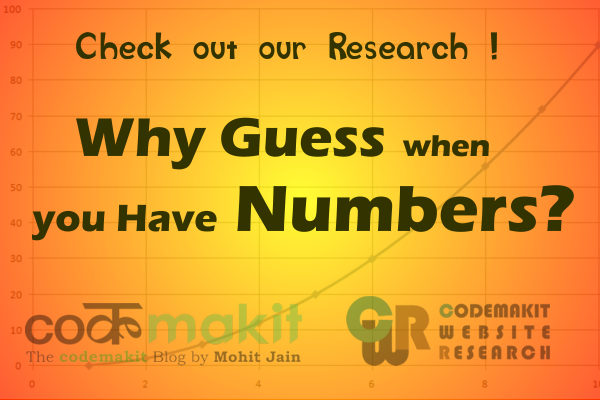 This methodology has been used by webmasters over the decades to improve the pagerank. The same Nofollow has been used by bloggers in their blog comments to take care of comment spammers. However, for Wikipedia even if the editing is done honestly, then the moderators or proofreaders will convert the innocent looking link into a NoFollow. Such usage opens up possibilities of users going directly to the website from wiki itself, but limits the possibility of the website getting higher links because of an increase in the PageRank or domain authority. In short the excellent use of NoFollow wherever required helps wiki to float above others in the rat race. According to data from Majestic SEO from checkpagerank, Wikipedia has 862,698,514 External Back-links, 2,749,595 Referring Domains, 2,144,395 Back-links from educational websites and 314,508 Back-links from government websites out of which, acquiring later two in such numbers is a feat in itself. Therefore authenticating the statement from my friend Samuel Johnson, who used to say "Next time you feel like pointing finger at the content giant; try matching their numbers and then we'll talk."